Negotiation plays a great role in every aspect of business. Whether you deal with high value negotiations as part of your job or you simply want to improve the way you negotiate with colleagues and clients in your daily interactions, this program is designed to help you achieve your specific goals. In the competitive business environment of the twenty-first century, we are all under tremendous pressure to deliver faster, better and quicker results. Buyers and sellers at the forefront of commercial relationships and managers negotiating internally, all face increasing pressure to achieve more. This program describes a range of successful negotiating techniques and explains how you can use them to help achieve your key objectives. Is there really a structure that negotiators, amateur or experienced, can learn? 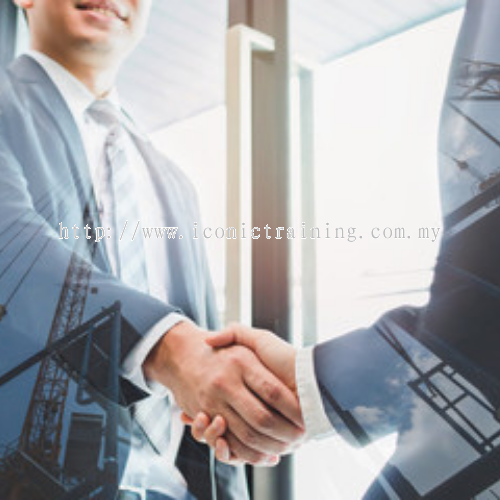 Good news, this program takes you through the negotiation process systematically, while honing your interpersonal skills and sharpening your communication skills. In this intensive, interactive program, you will acquire a framework, tools, techniques, and skills for maximizing the value of your negotiated outcomes by effectively navigating the negotiation process from setup, commitment to implementation. The Question & Lead - How To Influence & Persuade?